News of Baofeng’s newest & latest handheld UHF/VHF Radio, has all of Amateur Radio keying up & queuing up for what looks to be the culmination of the most popular handheld radio around. Chinese Electronics Manufacturer Baofeng(Pofung), new BF-F8HP dual band handheld radio, offers more transmit power, a new generation chipset, compatibility with existing battery options, and clearer, more understandable instructional documentation. The Chinese Electronics Manufacturer has taken the US domestic Ham Radio market by storm, offering a line of inexpensive handheld 2 meter & 70CM radios. 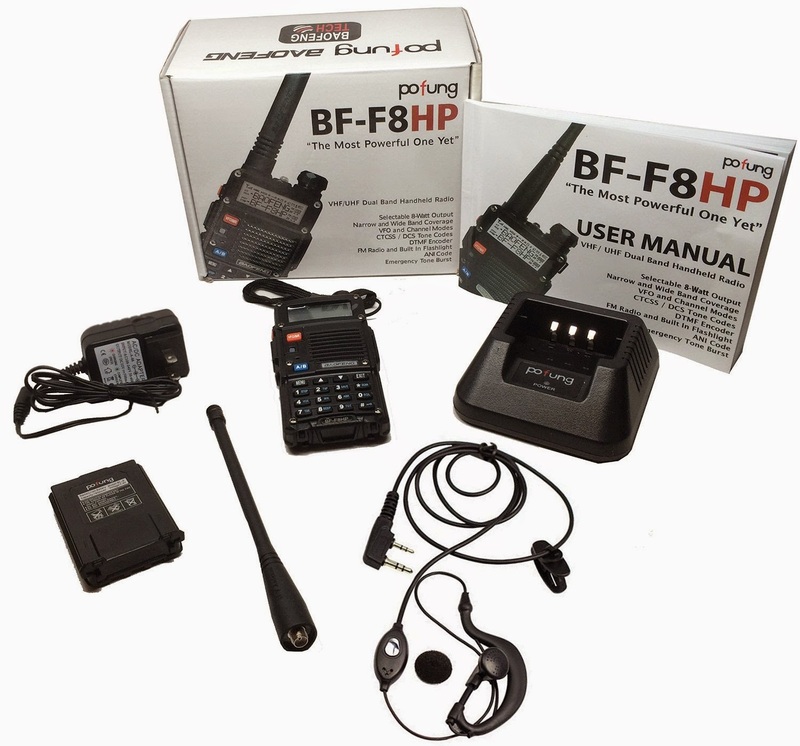 Based upon SDR technology, Baofeng has taken a domestic business band radio, & adapted it for US Amateur Radio use. The UV-3 & UV-5R & variants are leading the wave in sales of affordable handheld radios, popular not just with Hams, but with the survivalist & prepping movement in the US & abroad. Currently the BF-F8HP is available through Baofeng Tech on Amazon.com. HIs Motto:"When it comes to information, I'm full of it!" And he's full of it indeed... If he's not publishing articles on his Prepping, Ham Radio, Product Reviews & Political Commentary Blogs, Bob is shooting video or producing graphic art freelance. You can also find Bob on Facebook as Administrator for the APN Open Group, The APN Bulletin Board, The APN Distillery, & The APN Main Page. Bob also moderates a collection of his own pages & groups as well. That's just his internet footprint! Bob is Amateur Radio Operator KI4HEE, a former electronics technician in the Air Force, and has traveled around the world soaking in the experience of a lifetime. 2 Comments on "Baofeng Doubles Down on New Handheld Radio"
Return it. Or better yet have 2 radios.